Following a PSHEE lesson with Miss Bruce, 9M were inspired to raise money for the charity Shelter. During their PSHEE lesson on Homelessness, students were shocked to discover that more than 80,000 children will be homeless this Christmas. Touched by the stories they had seen and read about, 9M decided to raise money for the UK based charity whilst spreading some festive cheer. They took to their kitchens and slaved over hot ovens to produce the perfect cupcakes to sell to an eager crowd on Monday break-time. 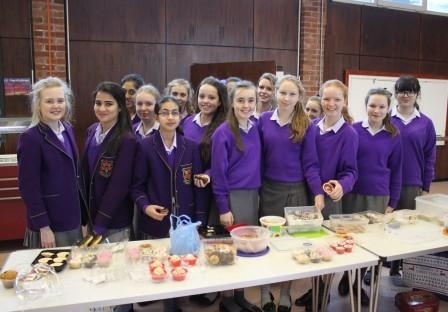 There were cakes, doughnuts and cookies on offer and the sale was a great success. With the support of staff and students 9M were able to raise £75.63 for Shelter and this donation will help them to be able to provide support for families and children in the UK who are living in terrible conditions. A massive thank you to everyone who supported this event.